A range of ISO 19650 courses delivered by an online learning solution. Designed to educate existing and future workforce’s on the latest international standards and best practice for the management of information. All ISO 19650 course material is produced by Paul Shillcock, the author of ISO 19650-2. Similarly, we also provide educational material on related management standards, such as Asset Management and Collaborative Working Relationships. Plus the future parts of ISO 19650 which are due to be published in 2020. Operam Academy were named Best BIM Training Programme 2019 at BIM Show Live. 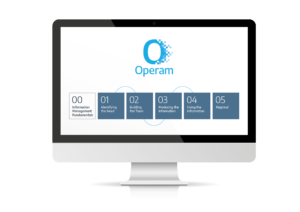 Operam Academy can provide your complete ISO 19650 courses, education & training. 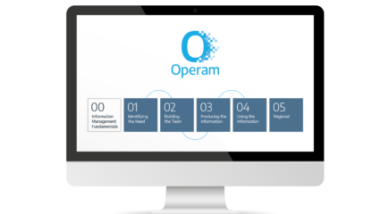 As authors of international standards, Operam Academy are best placed to turn them into something that’s practical and usable in real life, and based upon the key stages of the information process. We’ve done all the hard work for you by combining and distilling all the standards into the following curriculum’s. Making it easy for people to access the material they need. Rather than sifting through each standard. This means that people won’t be learning things they don’t need to learn. Therefore, they are far more likely to remember what they’ve been taught. BIM: What’s it all about? 1: BIM What’s it all about? First of all, the aim of this course is to create a shared understanding between learners who are new to information management and building information modelling (BIM). As well as those who may have already formed their own opinion of what BIM is all about. Firstly, the course cuts through the hype around BIM and challenges the preconceptions that people generally have about BIM. By looking at the three different perspectives that people typically have when referring to the term. As such, this course is a highly recommended starting point for all learners prior to undertaking subsequent courses. This course aims to introduce learners to the activities relating to the management of information. During the delivery phase of new or refurbished assets, when using building information modelling, as defined within ISO 19650-2. To start, this course provides an introduction to project information management and an overview of the project information management process. Therefore, during the course, learners will take a brief look at each stage of the process and corresponding activities, along with parties and teams responsible for their implementation. As such, this course serves as a reference point for learners as they complete subsequent courses relating to project information management. The aim of this course is to introduce learners to the activities relating to the management of information during the operational phase of assets. When using building information modelling, as defined within ISO 19650-3. Firstly, this course provides an overview of the asset information management process, the activities within it and the recommended responsibility assignment for each. As such, this course serves as a reference point for learners as they complete subsequent courses relating to asset information management. NOTE: This is a holding course. Because this course will be fully developed as and when the development of ISO 19650-3 is in an approved state – expected to be Q3 of 2019. The aim of this course is to provide learners with the foundation knowledge of how the requirements for information can be defined and clearly communicated to the providers of information. To begin, this course establishes the criteria by which information requirements are defined and the relationships between the different information requirement types. Thereafter, learners will look at the different methods by which the level of information need can be established to ensure the minimum amount of information needed is required. The aim of this course is to give learners a deeper understanding of the industry best practice for the definition and communication of organizational information requirements. To begin, this course addresses the various functions and stakeholders within an organization who may have a need for information. Thereafter, learners will look at the support this information can provide in terms of asset performance and the security of sensitive assets. The aim of this course is to give learners a deeper understanding of the industry best practice for the definition and communication of asset information requirements. To begin, this course asks the question, what is an asset and how are the defined? Because learners will look at the defining the level of information needed for each asset throughout each stage of its lifecycle and the products that are used to fulfil the asset’s function. The aim of this course is to give learners a deeper understanding of the industry best practice for the definition and communication of project information requirements. To begin, this course focuses on the key decision points throughout the delivery phase of assets and the questions that need to be answered in order to make an informed decision. Thereafter, learners will look at how information is needed to support the design and construction of assets and how all these requirements are communicated during each appointment via a schedule of exchange information requirements. The aim of this course is to provide learners with the foundation knowledge of the parties, teams and roles and the assignment of responsibility for each of the activities defined within the information management process. To begin, this course introduces the various parties and teams involved in the management and production of information, plus the relationship between them. Therefore, learners will look at how responsibility can be assigned, and the information management roles that may be required within each team. The aim of this course is to introduce learners to the activities relating to the procurement, planning and mobilization of a team during an appointment. To begin, this course addresses all aspects of the procurement process, including the preparation of the invitation to tender and the tender response. Thereafter, learners will look at assessing each task team’s capability and capacity to meet the needs of the delivery team. The aim of this course is to introduce learners to the activities relating to the preparation and execution of an information management plan during an appointment. During the course, learners will receive practical insight and best practice on establishing information standards, production methods and procedures. And the often overlooked federation strategy. Enabling learners to establish the most effective approach to the production of information during an appointment. The aim of this course is to introduce learners to the activities relating to the preparation and execution of an information delivery plan during an appointment. During the course, learners will receive practical insight and best practice on assigning responsibility for the production of information. And establishing the relevant information delivery plans, enabling learners to establish the most effective approach to the delivery of information during an appointment. The aim of this course is to provide learners with the foundation knowledge of the shared repository teams need to collaborate, known as the common data environment (CDE). To begin, this course establishes the production workflow needed for the collaborative production of information and how the common data can be used to support this. Thereafter, learners will look at the functional requirements for technology to enable the production workflow to be implemented effectively. The aim of this course is to introduce learners to the activities relating to the creation and progressive development of an information model, based upon the collaborative approach to the production of information. During the course, learners will look at the generation, coordination and acquisition of information relating to new and existing assets, enabling learners to create information that is right first time. The aim of this course is to introduce learners to the activities relating to the sharing of information with other teams, based upon the collaborative approach to the production of information. During the course, learners will look at the undertaking quality assurance. And review of the information and its subsequent approval for sharing, before being available to other teams, enabling learners to build trust in the information they have created. This course aims to introduce learners to the activities relating to the publishing of information within the common data environment. Based upon the collaborative approach to the production of information. During the course, learners will look at the review of the information model and its subsequent authorization and acceptance, before being deemed a contractual deliverable, enabling learners to appreciate the overall delivery process during an appointment. The aim of this course is for learners to consider the potential use of information during the delivery phase of assets, in relation to its design, production and construction. To begin, this course provides real-world examples of the current uses of information during the may offer. Therefore, learners will look at what the future may hold and some of the interesting innovations that may become available. Enabling learners to really start with the end in mind across all levels. The aim of this course is for learners to consider the potential use of information during the operational phase of assets, in relation to its operation, maintenance and its subsequent decommission and recycling. To begin, this course provides real-world examples of the current uses of information during the operational phase of assets and the benefits each may offer. Therefore, learners will look at what the future may hold and some of the interesting innovations that may become available. Enabling learners to really start with the end in mind across all levels. The aim of this course is for learners to consider the potential use of information at a portfolio level. And how this information can be used to support portfolio management, business planning and SMART asset management. To begin, this course provides real-world examples of the current uses of information at a portfolio level and the benefits each may offer. Thereafter, learners will look at what the future may hold and some of the interesting innovations that may become available. Enabling learners to really start with the end in mind across all levels. The aim of this course is for learners to consider the potential use of information at a national level and how information can be used to support public services provision, smart cities and infrastructure planning. To begin, this course provides real-world examples of the current uses of information at a national level and the benefits each may offer. Thereafter, learners will look at what the future may hold and some of the interesting innovations that may become available. The aim of this course is to provide learners with full appreciation of the UK’s digital transformation. And to gain an insight into where the UK has come from, where it is at present and where its heading over the next decade. To begin, this course addresses the drivers for change within the construction industry and public sector procurement, and the journey towards a digitally built Britain. Thereafter, learners will look at how BIM Level 2 is currently defined within the UK and the associated documents and tools, enabling learners to understand what is and what isn’t BIM Level 2. Because we play a prominent role in the development of national and international Standards for the management of information. Above all, this enables us to provide you with practical insight on the requirements within them. Plus the impact, risks and benefits of their implementation. Therefore, ensuring you can trust us to deliver your ISO 19650 courses. 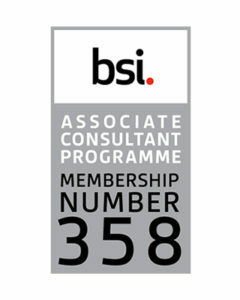 Above all, Operam are a member of the BSI’s Associate Consultant Programme. Therefore, this means the BSI deem Operam to be capable of providing their clients with the right advice and guidance when aligning their business processes to the international standards. Go here to learn more about the ISO 19650 Courses by Operam Academy.